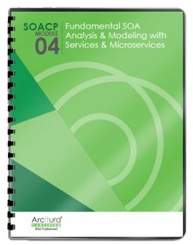 Joint application of Official Endpoint, Service Normalization, Canonical Protocol, Canonical Schema, and Canonical Expression. Federation is an important concept in service-oriented computing. It represents the desired state of the external, consumer-facing perspective of a service inventory, as expressed by the collective contracts of all the inventorys services. The more federated and unified this collection of contracts (endpoints) is, the more easily and effectively the services can be repeatedly consumed and leveraged. 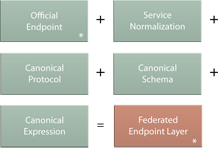 The joint application of Canonical Expression, Canonical Protocol, Canonical Schema, Federated Endpoint Layer, Official Endpoint, Service Normalization.